The extreme magic bottle opener can be used to open almost any can or bottle. 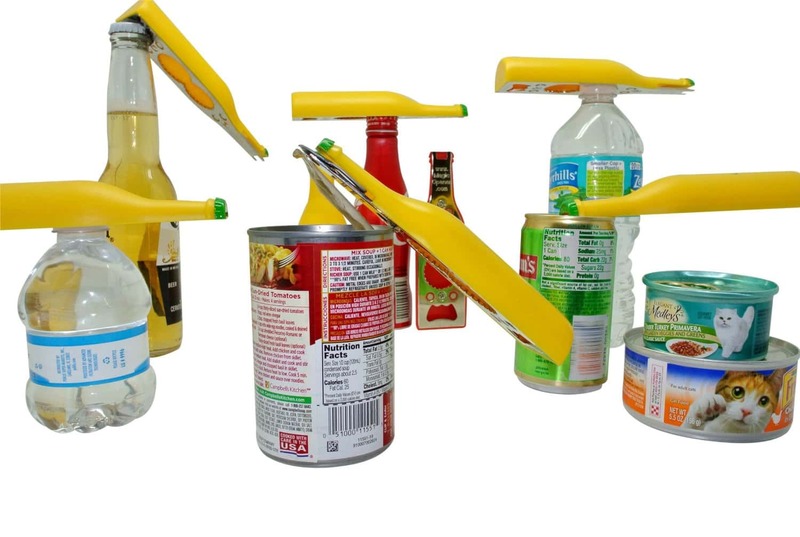 Now you can open your drinks, pet food cans or soda cans with one tool. There is no need to have a different opener to fit every type of bottle or can you may encounter. This is an excellent idea for anyone who suffers from arthritis or any other condition that makes opening cans and bottles difficult. The MagicOpener comes with three patented, interchangeable metal plates so that you can easily open lids even when they are not standard sizes. Any can with a lift top or pull ring can be opened using this tool. The easy lift tab design means that you can now do this with a minimum of effort. Check out the Brew Clip if you would like a portable bottle opener that can open your beer bottles.